After ten years of extreme pollution that shows no sign of abating, the European Commission has told Poland to clean up its air or else it’ll be taken to the EU Court of Justice. Poland’s air pollution causes around 43,000 premature deaths a year, but the government – beholden to fossil fuel interests – refuses to curb coal-fired emissions. The proposal designed to satisfy the Commission overlooks coal pollution, focusing instead on tackling transport and household emissions, Unearthed has learned. Admittedly, cars and home furnaces produce the bulk of the country’s very visible PM10 pollution, but industry and energy are also significant contributors and even moreso of the toxic particulate PM2.5. Pollution from coal-fired power plants kills 5,300 people a year in Poland — way more than in any other country in Europe. Speaking to Unearthed, the Commission said it is vital that Poland both reduces its high-stack emissions (those that come from coal plants) and makes its smog-drive legally binding — which we’re pretty sure it doesn’t plan on doing. It took just three months for Warsaw, Krakow and a crop of other large Polish cities to exceed the EU’s air pollution allowance for the entire year. By the end of March, these six cities had each recorded more than 50 micrograms of fine dust particles (PM10) per square metre on at least 35 different days. Inhalation of PM10 particles can cause respiratory and cardiovascular health problems. 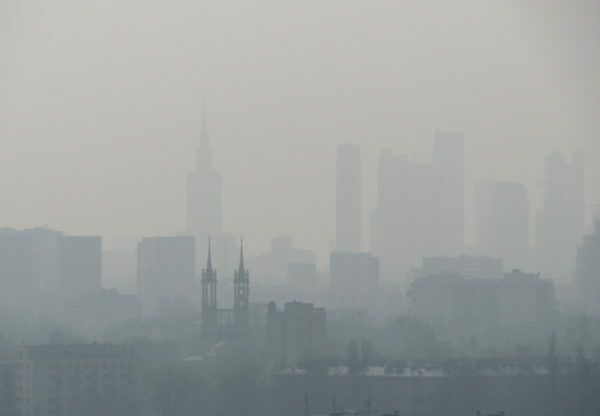 Poland, home to 6 of the 10 most polluted cities in Europe, was warned in February over its continued failure to address its pollution problem — and given two months to formulate a plan. In its statement, the Commission said the maximum daily air pollution limits were being exceeded in 36 zones, and yearly limits breached in 12. There are constant infringements and Poland isn’t doing anything about it. It’s now been three months, and so Unearthed spoke to the Commission about the stage of infringement proceedings, and whether Poland’s proposal is enough to avoid taking the matter to the EU Court of Justice. A spokesperson for the Commission said proceedings remain at the point of “additional reasoned opinion” and that “the case may yet go to Court” — not all the zones have implemented the measures. The Commission wouldn’t divulge details of Poland’s plans, but said the EU requires that it both be legally binding and that, in addition to fumes from transport and households, high-stack emissions are tackled. Unearthed, however, understands that the Polish government has no plans to curb the high-stack, and that its proposal will simply empower local and regional authorities to crackdown on low-stack — basically, it would not be legally binding. A Commission spokesperson recently told the Gazeta Wyborcza: “There are constant infringements and Poland isn’t doing anything about it”.